This ensures all our customers are conforming to British Legislation, such as The Health and Safety at Work etc Act 1974, The Management of Health and Safety at Work Regulations 1999 and The Provision and Use of Work Equipment Regulation 1998. 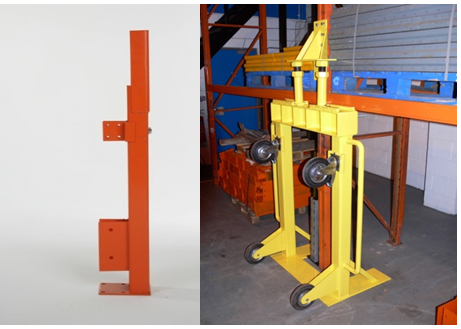 One of the methods used by The Rack Group for repairing damaged racking is the sacrificial leg and sacrificial leg prop. This allows the Rack Group installers to prop the racking up, cut out the damaged component and replace it with the sacrificial leg.